On the heels of expanding in the Boston area last year, GE Healthcare Life Sciences demonstrated its commitment to strengthening the scientific community not only in its new home, but in countries around the world. GE Healthcare Life Sciences made a bigger impact than any other first-time Seeding Labs donor in 2016. Five universities in five different countries have already benefited from GE’s contributions, and we are excited to see that impact grow as we expand our work together! 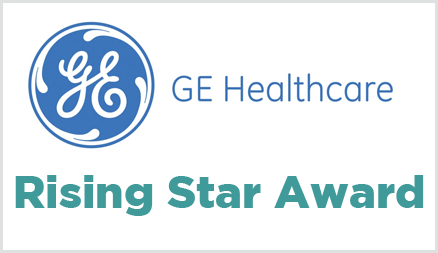 For having the most impactful first-time corporate engagement with Seeding Labs last year, GE Healthcare Life Sciences was honored with the Rising Star Award at Positively Instrumental on March 22. “Curiosity, a love of science, and discovery lie at the heart of our business. Supporting Seeding Labs’ efforts to foster innovation among its worldwide community of scientists and researchers fits perfectly with our mission of advancing scientific development and medicine globally,” says Conor McKechnie, Chief Marketing Officer, Life Sciences, at GE Healthcare. 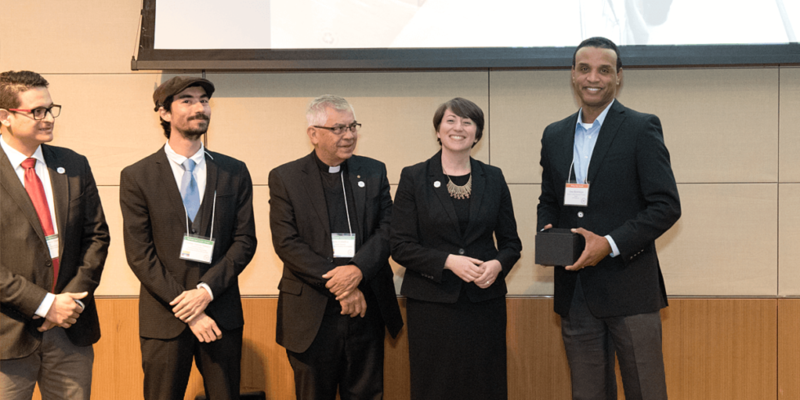 GE Healthcare Life Sciences’ Dr. Jose Restituyo (pictured above, far right) accepted the Rising Star Award from Seeding Labs founder and CEO Dr. Nina Dudnik. Dudnik was joined by (right to left) Presbítero Julio Ceballos, Rector General, and Drs. Esteban García and Vladimir Martínez of the Universidad Pontificia Bolivariana (UPB) in Colombia. UPB was one of the 2017 Instrumental Access awardees announced at the event that will benefit from GE Healthcare Life Sciences’ support. They are planning to use equipment from Seeding Labs for research and teaching in their new Department of Nanotechnology Engineering, the first department of its kind in South America.